Sharalle Arnold, the associate director of the Gayle R. Davis Center for Women and Gender Equity (CWGE), shared a report from the College and University Food Bank Alliance, which found that one in three students on college campuses are hungry, compared to one in seven people in the U.S. as a whole. The number of students who have visited Replenish, the food pantry at GVSU, has risen over the last couple of years, Arnold said, necessitating a larger space for the food bank. The last academic year alone totaled more than 900 visits. Access to affordable, healthy food is crucial for student success at GVSU, Arnold said. Arnold pointed out that many first-generation students, low-income students and students of color are not getting the nutrition they need. She asked the senate to help Replenish expand its food bank into a larger space. Its current location, Kirkhof 0074, is not large enough for the food and services they would like to provide. Arnold suggested that one way to tackle hunger on campus would be for GVSU to offer the possibility of a low- or no-cost meal plan for eligible students. “I would ask you to help me as I am trying to fan the flames around conversations regarding low- or no-cost meal plans for our self-eligible students,” she said. “I would ask you to consider the high cost of food on campus. Food is a basic right. It should not be that some families are prioritized and some families have easier access than others. From there, Jen Hsu-Bishop, director of the Milton E. Ford LGBT Resource Center, shared the center’s efforts to make GVSU a welcoming place for LGBTQIA+ students, especially in light of the violence and hostility that some of these students experience on campuses across the country. Over the last 10 years, GVSU has grown in LGBTQIA+ visibility on campus by offering scholarships to those engaged in the LGBTQIA+ community, facilitating programs and providing education, which in turn make people in the community feel they belong at GVSU. “If you feel like you belong here, if people want you to be here and you can be your full self, it makes it a lot easier to be in the classroom and ask a question about the math problem,” Hsu-Bishop said. Hsu-Bishop said everyone at GVSU plays a role in keeping the campus a welcoming and safe environment for all students, regardless of their sexual or gender identity. Also at the general assembly, student senators who attended a conference at Oakland University in mid-November shared their notes from the day. The conference was a gathering of student senators from various universities to present on their current projects. 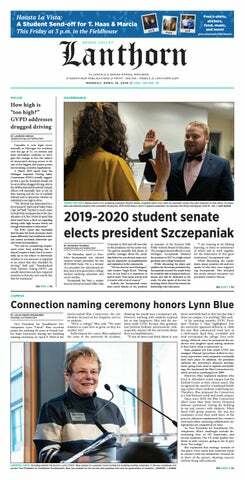 One of the first points that senator Rachel Jenkin shared was that the conference made her realize that GVSU's student senate is ahead of the pack. With that said, Jenkin mentioned that some universities have sexual-assault services in place that she would like to see replicated at GVSU. Senators Julian VanDaele and Cameron Jones discussed the state funding that GVSU receives in comparison to other universities. Senator Carly Aller then brought up that GVSU is better off than others schools in some ways. For example, GVSU has a much higher budget for student organizations than some other universities have. Oakland University has a $200,000 budget, for example, while GVSU has a budget of more than $2 million, she said. The GVSU student senate meets every Thursday at 4:30 p.m. in the Kirkhof Center Pere Marquette Room.